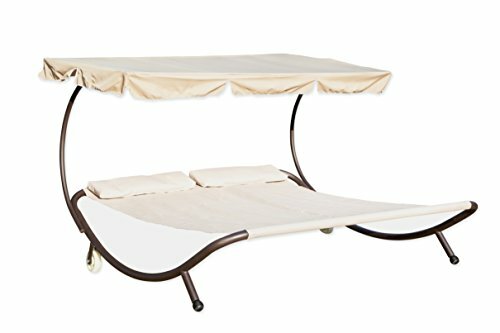 Take an afternoon nap, laze by the pool or simply rock away your worries in this double sized canopy hammock bed. The hammock bed measures 6'5" x 6'5" x 4'4". The bed itself measures 6'5" x 5'5". The frame is made from sturdy steel tubing and the canopy is a durable polyester. The bed is a 2x1 text line netty fabric. By Trademark Innovations. The hammock bed measures 6'5" x 6'5" x 4'4"
The bed itself measures 6'5" x 5'5"